Prescription costs too high? Speak with a qualified expert from our agency on Part D Prescription Plans today. What is a Medicare Part D Prescription Plan? 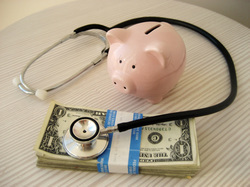 These plans (sometimes called "PDPs") add drug coverage to Original Medicare, some Medicare Cost Plans, some Medicare Private Fee-for-Service (PFFS) Plans, and Medicare Medical Savings Account (MSA) Plans.